Get the Pinnacle App now! Register at Pinnacle and download the Android app for free! The Pinnacle sportsbook has been operating since 1996, which means it has created quite the reputation for itself. A sportsbook isn’t going to last this long unless it has something great going on. Pinnacle is a bit of an anomaly because, while it is highly successful, they operate in a manner that is considered “low-key.” You don’t see much advertising and they don’t dive into large promotions. Instead, they offer betting lines that are very competitive. The company also has the Pinnacle app, which is available for iOS and Android that allows you to browse the odds and set alerts, place single and multiple bets, and get a good picture of odds movements. Pinnacle doesn’t offer a special promotion for mobile users. The company relies solely on the fact that it works to offer odds that are better betting lines than their competitors. This means you’ll download the app and not find a promotions page for the sportsbook. That’s because there isn’t one to find. So you can take advantage of the excellent betting lines, you can download the app very easily by clicking the “Mobile” link at the top of the Pinnacle website. You can do this from your mobile device’s browser so you can download straight from the mobile page. When on the mobile download page, you’ll notice the features of the Pinnacle mobile app, which are many. You will have a lot of control over your account. You’ll also notice that you can download the app for iOS and Android. If you don’t have an iOS or Android device or you prefer to play using your device’s mobile browser, you can use the mobile website instead. This is important to know if you’re an Apple device user who doesn’t have access to the Canadian, Swedish, Finnish, and Ukraine app stores. If you don’t use these app stores, then you can use the mobile website. Android users can click the Android button to be taken to a page where a QR code must be scanned. Once the app downloads, you must go to your phone’s settings, tap the “Security” icon under “System” and then tick the “Unknown Sources” box. Tap OK to confirm the change. This doesn’t compromise your device’s security. 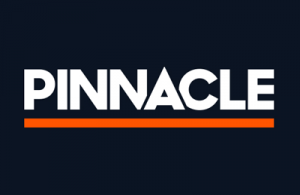 Pinnacle keeps things rather simple with no complicated promotions with wagering requirements that must be met within specific periods of time. Those types of promotions are reserved for the casino side of the website. Pinnacle justifies the lack of promotions by offering betting lines that are better than competitors around the world. Many sportsbooks use promotions to attract new customers, but Pinnacle embeds the benefits in everyday betting activity. This can pay off better than a promotion with wagering requirements. The point of this is to sacrifice the profit margin for the sake of quantity. More bets with smaller margins can benefit everyone. This is a model that is proving beneficial for Pinnacle and its players. To make sure you are able to take advantage of the mobile app and everything it has to offer, there are steps that you must follow for your device. The following is a step-by-step guide that will help you get the most out of your Pinnacle account and app. You can open your account before or after you download the Pinnacle mobile app. When you register, click the “Open Account” button at the top of the website. Provide all the requested information, such as personal details and login information. You can make your initial deposit using one of more than 25 deposit methods. There is no minimum deposit amount required by Pinnacle, but your payment method may have a minimum. It is best to click the “Payment Options” link at the bottom of the Pinnacle website to view the payment methods and the terms relating to the one you choose. The app is available for iOS and Android users. However, the iOS app is only available in the Canadian, Swedish, Finnish, and Ukraine app stores. All others will have access to the mobile website to carry out betting activities. To find the app in iTunes, search “Pinnacle Lite.” You can also click the “Mobile” link at the top of the website to be taken to the mobile page. Also on this page is a link to download the Android app. You will need to have the capability to scan a QR code. Once the app is on your phone, you will have to go to your phone’s settings and go to “System” so you can tap the “Security” icon and tick the “Unknown Sources” box. Tap OK to confirm and you are ready to go. Again, there are no mobile betting campaigns or any promotional offers because of the smaller margins versus offering promotions. In other words, you don’t have to worry about restricted deposit methods, conflicting bonus opportunities, or missing out on a promotion. You will always have access to the best betting lines, which can enhance your chances of winning. When you’re ready to make your first deposit, there are many methods that you can use. Due to the lack of a promotion, there are no restrictions on which of the accepted methods you can use. Utilize the method that works best for you. Some of the methods include bank transfer, Bitcoin, BOLETO, Visa, MasterCard, cheque, ecoPayz, entropay, iDebit, Instadebit, Instant Banking, Neosurf, Neteller, OXXO, Paysafecard, QIWI WALLET, qqpay, Skrill, Sofort, Trustly, WebMoney, and more. Some methods are country-specific. When making withdrawals, there may be fees related to them. For instance, Neteller withdrawals will be assessed a processing fee if the roll-over threshold (three times the deposit) isn’t met. The fee is 3%. However, Pinnacle will give Neteller customers one free withdrawal a month. There is no minimum withdrawal amount. It is ideal to check the Payment Methods page of the website to see the exact terms of your selected method. As far as safety, the Pinnacle mobile app is safe. There are security measures put in place by Pinnacle to ensure that customer information is safe. The reputation of the app, however, is still pending because there aren’t enough reviews in the app stores to make an assessment. Nonetheless, the reviews are trending more toward a favorable experience. There’s also the fact that this is a reputable company that is licensed in Curacao and Malta. To become licensed, strict licensing requirements must be met. For instance, responsible gaming is very important. There must be tools and resources made available to players so the proper help can be sought. Pinnacle has made a self-assessment tool available to customers. Pinnacle is also certified by GamCare, which is a leading provider of counseling and support for the treatment and prevention of gambling addiction. Pinnacle also directs parents to tools like CyberPatrol and NetNanny that prevent minors from accessing gambling sites. If you can download the Pinnacle app on your device, it’s worth the test drive. It may be a lite version of the website, but it has some valuable tools that you can take with you everywhere. If you can’t download the app on your iOS or Android device or you are using another operating system, you can fully use your account through Pinnacle’s mobile website. Just don’t expect to see any promotions since the sportsbook’s reason for not having them is their highly competitive betting lines. Pinnacle has a unique formula that attracts players and it appears that it’s working. How do I get the Pinnacle app? From your mobile device’s browser, click “Mobile” at the top of the website to be taken to the mobile page. If you are from Canada, Sweden, Finland, or Ukraine, you can download the app from your respective iTunes store. If you aren’t from one of these countries, you can use the mobile website. If you’re an Android user, click the Android icon. You will be taken to a page with a QR code. Scan the QR code to download the app. You will have to go to your phone’s settings and click “Security” under “System.” You must tick the “Unknown Sources” box and then “OK” to complete. You can also search for “Pinnacle Lite” in your app store. Do I need a Pinnacle promo code? No, because Pinnacle doesn’t offer promotions to sportsbook customers. Is there a mobile Pinnacle promo code? Pinnacle doesn’t offer promotions, which means there are no mobile promo codes to use. Instead, you get highly competitive betting lines that are considered the best in the industry.